Thank you for taking time to read about the opportunities, events, and resources available to both you and those with whom you volunteer! Richmond is a better place because of your work with our newest neighbors, and we at ReEstablish Richmond aim to support you whenever we can. This newsletter will replace some of the emails we used to send, so we recommend staying subscribed! As always, if you have any specific questions or concerns, please email volunteers@reestablishrichmond.org. We are here for you. Please remember to log your volunteer hours at least once a month on the ReEstablish Richmond Volunteer Portal. Click the button below, or find the form under "Volunteer Reporting" on the ReEstablish Richmond website. The passcode is ReRVols2017. By reporting your hours once a month, you help the ReEstablish Richmond staff so much. We love to hear about both your successes and struggles so we can celebrate and help you; we also use the reported hours to apply for grants that help us better serve our community. Reporting your hours is a quick and simple way to continue making a difference. Do you have a client who is struggling to understand Medicaid? Elham at the IRC is helping folks grasp Medicaid expansion. The last day to sign up for healthcare, December 15th, rapidly approaches. 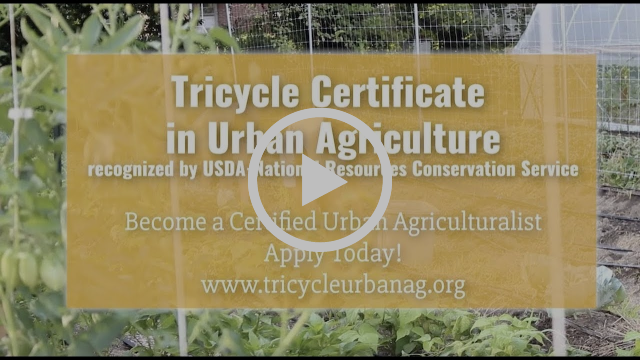 Tricycle Urban Ag has opened their 2019 fellowship application. This may be a cool opportunity for your mentee to connect with the community and earn a certificate in urban agriculture! Learn more about their fully-funded program and how to apply on their website. Are you looking for a gift that is beautiful, meaningful, and beneficial to folks in Richmond? Check out Kamili! Learn to have simple conversations in Farsi—and bring a guest for free! One of our clients is leading this month-long class, and we couldn't be more excited. Learn more and register at University of Richmond. Don't forget about our volunteer resources! We are continually updating them, and we welcome any that you may have found. Our latest addition is a masters thesis that explores teaching English to Afghan women in the United States! It may be a valuable resource for those of you doing that work. To access any content on our volunteer portal, please enter the password ReRVols2017. Please be in touch if you have a resource you want to share with us.